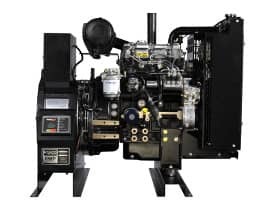 Southwest Products offers affordable, high-quality Value Plus series commercial generators for customers in many industries across the country. Building partnerships and providing custom options designed to meet your needs regardless of the environment, are at the core of our mission. Their Value Plus units come standard with a heavy-duty diesel engine, standard engine manufacturer’s warranty, easy-to-use digital controller, and manageable service intervals. For power wherever and whenever you need it paired with uncompromising service and support, choose the advantage of SWP’s Value Plus series. Southwest Products’ Quiet Power mobile generators provide primary and standby power for large construction, rental, and commercial applications. These durable mobile diesel generators come standard with highly-reliable Perkins engines with a digital controller to monitor and protect the unit while providing continuous operating data on an easy-to-read display. Engineered from the ground up with heavy gauge lockable enclosures, these rugged compact units are a cost-effective solution for on-site power needs in all types of terrain and harsh environments. Southwest Products offers several complete series of tough, long-running generators designed for just about any work site or harsh climate. Built to consistently perform in applications where dependability and reliable power are critical, these easy-to-maintain units have longer lifespans and come standard with low-emissions diesel engine options than your average commercial generators. Whether you need standby power for your business, or towable generators for a remote site or large event, SWP’s commercial generators consistently come through for your business.